R. B. Decker, E. C. Roelof, R. E. Gold, G. M. Simnett, L. J. Lanzerotti, C. G. Maclennan, and T. P. Armstrong, Recurrent Low Energy Particle Events in the Northern Heliosphere: Ulysses, Voyager 1/2, and IMP8, Fall AGU Meeting, December 1996. N. Krupp, J. Woch, E. Keppler, S. E. Hawkins III, L. J. Lanzerotti, and M. K. Dougherty, Energetic Ion and Electron Beams in the Duskside Jovian Magnetosphere: Ulysses EPAC and HI-SCALE Results, Spring AGU Meeting, May 1996. C. G. Maclennan, L. J. Lanzerotti, T. P. Armstrong, E. C. Roelof, R. E. Gold, and R. B. Decker, Low Energy Charged Particles in the High Latitude Heliosphere, Spring AGU Meeting, May 1996. Low energy ion and electron measurements made over the south and north polar regions of the sun by the HISCALE instrument on the Ulysses spacecraft during its solar minimum polar passages are summarized. The polar flux levels were considerably reduced in comparison to fluxes in the vicinity of the heliospheric current sheet. Flux variations with a period of ~26 days were seen to nearly 80 deg. S but were not observed over the northern pole. Solar particle events originating from near-equatorial activity were seen at high southern latitudes, but not at high northern latitudes. Comparisons with in-ecliptic measurements made during the same time interval on the IMP8 spacecraft suggest that the polar differences are largely spatial and not temporal. The flux of low energy (~0.8 - 5 MeV/nucl) anomalous oxygen was measured to be ~50% higher over the northern polar region than in the south. The flux of solar wind iron, measurable because of its convection into the instrument by the high speed polar solar wind, is estimated to be about a factor of two larger over the south pole than over the north. C. G. Maclennan, L. J. Lanzerotti, E. C. Roelof, and B. E. Goldstein, Ion Abundances at High Northern Heliolatitudes, Fall AGU Meeting, December 1996. E. C. Roelof, C. G. Maclennan, L. J. Lanzerotti, and B. E. Goldstein, Ratio of Solar Wind Iron Abundance in the South and North Polar High Speed Streams Measured 1994-1995 by Ulysses: HI-SCALE and SWOOPS, Spring AGU Meeting, May 1996. G. M. Simnett and S. J. Tappin, The Spectrum (0.7-6 MeV/Nucleon) of Anomalous Cosmic Ray Ions and Their Modulation by Corotating Interactions Regions in the Interplanetary Medium, Spring AGU Meeting, May 1996. D. J. Thomson, C. G. Maclennan, and L. J. Lanzerotti, Periodic Variations in Interplanetary Particle Fluxes, Spring AGU Meeting, May 1996. D. J. Thomson, C. G. Maclennan, and L. J. Lanzerotti, Periodic Oscillations in the Jovian Magnetosphere, Fall AGU Meeting, December 1996. K. A. Anderson, J. T. Gosling, R. P. Lin, T. P. Armstrong, and E. C. Roelof, Energetic Particles Associated With CME at the Boundary of the Heliosphere Plasma Sheet, Fall AGU Meeting, December 1995, 1995 Fall Meeting Supplement to EOS, F457, 1995, Abstract SH22A-3. 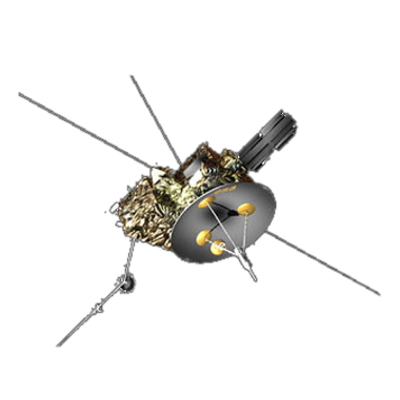 During early February 1995, the Ulysses spacecraft was located at about -21 deg. heliographic latitude and moving northward. Its heliocentric distance was about 1.4 AU. Gosling et al. reported that the spacecraft left the high speed flow from the southern coronal hole on 3 February. Entry into the region of variable flow at low latitudes was accompanied by a shock at ~0315 UT on 3 February, followed by an expanding coronal mass ejection (CME), apparently driving the shock, from ~0800 UT on 3 February through ~2000 UT on 5 February. A sequence of unusual energetic particle effects occurred within the volume identified as the CME in the plasma data. Beginning about 0400 UT on 4 February, the HISCALE instrument recorded several minute-long bursts of electrons >~ 45 keV energy. A complex pattern of electron and ion fluxes then followed over the next 12 hours. Some of the particle flux changes were closely associated with changes in solar wind parameters. For example, when the He++ to H+ ratio greatly increased, the electron and ion fluxes recovered to nearly their pre-event levels. The pitch angle distribution in the short-duration spikes shows a strong net flow of the fast electrons. In the main event the electrons are quite isotropic but the ions are highly directional. Late in the event a return flux of ions appears, indicating either (1) mirroring from stronger magnetic fields further downstream in the solar wind, or (2) mirroring closer to the Sun in a closed field topology. The very different behavior of the 2 particle groups indicates they have quite different origins--some particles coming from the Sun, others perhaps accelerated in interplanetary space. T. P. Armstrong, M. Boufaida, G. Giacalone, L. J. Lanzerotti, C. G. Maclennan, E. C. Roelof, G. M. Simnett, and K. A. Sayle, Evidence for Shock Acceleration to 2-4 MeV/Nucleon of Interstellar Helium in the 1-5 AU In-Ecliptic Region From Ulysses, Voyagers 1 and 2, and IMP8 Gradient Studies, Fall AGU Meeting, December 1995, 1995 Fall Meeting Supplement to EOS, F455, 1995, Abstract SH21A-19. The spatial gradients of daily-averaged fluxes of protons and alpha particles have been derived in several energy-nucleon passbands from simultaneous observations at 1 AU (with the IMP 8 CPME instrument) and in the ecliptic 1-5 AU with the Ulysses HISCALE instrument and Voyagers 1 and 2 (with the LECP instrument). A positive radial gradient of the 0.3 to 0.5 MeV proton fluxes suggests that interplanetary acceleration, probably associated with shocks, becomes effective in the 2-3 AU region. Protons in the 2-4 MeV energy interval, by contrast, exhibit a negative radial gradient and suggest less efficient shock acceleration in this region. However, the 2-4 MeV/nucleon helium nuclei fluxes show a positive radial gradient for all the Ulysses and Voyager observations, implying that the He/proton abundance ratio increases strongly with heliocentric distance. Values of He/H < 5 at 0.35-1 MeV/nuc have been observed directly in individual CIR events at Ulysses [Simnett et al., GRL, in press]. Interstellar He atoms are ionized to He+ ions which are picked up by the solar wind and can be accelerated by interplanetary shocks, both flare and CIR-generated, in the 1-5 AU region via shock drift acceleration. Interstellar H is much less abundant than He within 3 AU and may not be significantly injected into this process at this distance. Results of the evaluation of the gradients by several approaches will be shown along with theoretical arguments concerning the injection process. These observations extend to higher energies the argument of Gloeckler et al. [JGR, 99, 17637, 1995] that the acceleration of interstellar helium that is proposed as a source of anomalous cosmic rays begins in the 1-5 AU region. G. C. Anagnostopoulos, S. M. Krimigis, E. T. Sarris, P. Marhavilas, A. Balogh, and M. Daugherty, Fine Time Structure of Energetic (E ≥ 50 keV) Ion Profiles Observed Upstream From Jupiter's Bow Shock, Spring AGU Meeting, May 1995, 1995 Spring Meeting Supplement to EOS, S259, 1995, Abstract SM42C-9. We have combined energetic (E ≥ 52 keV) ion, (E ≥ 38 keV) electron and magnetic field measurements of fine time resolution (up to 10 seconds) in order to further investigate the characteristics and the origin of energetic ions observed by Ulysses upstream from Jupiter's bow shock on day 33, 1992. The most interesting results for this analysis are the following: (a) high energy protons (E ≥ 575 keV) and heavy (Z ≥ 5) ions (E ≥ 500 keV) as well as energetic (E ≥ 38 keV) electrons were almost continuously present for ~5.5 hours (~11:00 - 17:30 UT) prior to Jupiter's bow shock crossing by Ulysses; (b) upstream ion intensities were found to be strongly controlled by variations of the IMF azimuthal angle θ, with the highest ion fluxes observed when the IMF lay in the ecliptic; (c) strong anisotropies (as high as ≥ 10:1) of ion fluxes were observed at all energies (0.05 ≤ E ≤ 2.00 MeV); however, the anisotropy was found to decrease after the appearance of long period (some minutes), large amplitude magnetic field wave activity just upstream from the bow shock (~16:40 - 17:30 UT); (d) heavy ions were readily observable and found to be better correlated with the upstream magnetic field wave activity than the protons of nearly equal energy (~0.5 MeV). The observations strongly suggest that rigidity-dependent leakage of magnetospheric ions was in progress during the time period ~11:00 - 17:30 UT. Further investigation for possible additional acceleration of ions to low energies (E ≤ 100 keV) between ~15:40 - 16:25 UT, in the presence of wave activity, is needed. D. A. Biesecker and G. M. Simnett, He-3 Observed in SEP Events and High Latitude CIRs With Ulysses/Hi-Scale, Fall AGU Meeting, December 1995, 1995 Fall Meeting Supplement to EOS, F471, 1995, Abstract SH42C-2. The Heliosphere Instrument for Spectra, Composition, and Anisotropy at Low Energies (HISCALE) on Ulysses is used to measure the relative abundances of 3He and 4He in interplanetary space. The HISCALE instrument measures He ions with energies between 0.389 and 6.984 MeV/nucleon using a ΔE vs E telescope. We identify 18 events with enhanced abundances of 3He relative to the background rates measured by the instrument. These events were all detected within 10 deg. of the ecliptic plane, at distances from the Sun of 1-5 AU. We find we cannot associate any of these HISCALE events with those detected by the ONR 604 instrument on the CRRES mission shown to be enriched in 3He at energies >50 MeV nucleon [Chen, Quzik, and Wiefel, Ap.J., 442, 875, 1995]. We show that HISCALE observed a significant number of the CRRES mission enriched 3HE solar energetic particle (SEP) events, but find no corresponding enhancements in the HISCALE data. Data from earlier observations of 3HE enriched events suggests that HISCALE should have found significant enhancements in these events. We will discuss the possible implications of the lack of corresponding 3HE enriched events at different energies. In addition to the events observed in the ecliptic plane, HISCALE has also observed many corotating interaction region (CIR) associated events at high solar latitudes. We examined the CIR associated events that occurred while the spacecraft was in the southern solar hemisphere above the streamer belt and found that there is no 3HE enhancement in these high latitude CIRs. R. B. Decker, N. Krupp, and E. C. Roelof, Recurrent 0.5 MeV Proton Events Throughout the Heliosphere: Ulysses, Voyager 1/2, and IMP8, Fall AGU Meeting, December 1995, 1995 Fall Meeting Supplement to EOS, F458, 1995, Abstract SH22A-10. Shock-associated energetic particle populations have been monitored throughout the maximum and decline of Solar Cycle 22 by a constellation of spacecraft (IMP8, ULS, Voyager 1/2) in latitude, longitude, and radius throughout the heliosphere (S80.2 deg. to N80.2 deg. latitude for ULS, VGR1 to N32 deg, 60 AU, and VGR2 to S11 deg., 47 AU). As of September 1995, ion intensities continue to decline to near instrument backgrounds at all three outer spacecraft, while IMP8 continues to see a low level of residual activity. Recurrent events at VGR1 (>N32 deg.) have been undetectable since early 1993, consistent with their absence when ULS rose above this latitude in 1995. ULS saw two small quasi-recurrent 0.5 MeV proton events April 1-3 (just after leaving the heliospheric plasma sheet at N21.3 deg.) and April 25-27 (at N43.0 deg.). At the highest (southern) latitudes, the ULS recurrent (CIR) events diminished rapidly as the spacecraft rose above the furthest latitudes reached by the CIRs in the inner heliosphere. The recurrent events were much stronger during 1993 and 1994 when ULS was at mid-latitudes near 5 AU and when VGR2 was in the high-speed solar wind outside the plasma sheet. Then, the ratios ULS/IMP8 and IMP8/VGR2 of peak 0.5 MeV proton intensities were very large (≈10-100). However, the corresponding ratios in the smaller (non-peak) events were often <10. Since the ULS variation was predominantly latitudinal (radius decreasing only from 5 to 4 AU during 1993), these ratios imply strong latitude and radial gradients in the peak events, but smaller ones in the smaller events, particularly the IMP8/VGR ratios which could be measured well into 1995. We interpret the large ratios of the peaks of the larger events as being due to transient adjustments in the global CIR structure, whereas the smaller ratios characterize a more quiescent state of the CIRs. These remarkably small intensity ratios over many 10's of degrees and 10's of AU suggest to us that the quiescent CIR structure forms a "reservoir" (producing relatively small gradients) for 0.5 MeV protons, a significant fraction of which are likely to be CIR-accelerated interstellar pickup hydrogen. M. Desai, G. M. Simnett, and E. C. Roelof, Pitch-Angle Scattering Function for 40-175 keV Electron Propagation in the IMF Derived From Ulysses Hi-Scale Measurements of Upstream Jovian Electrons, Fall AGU Meeting, December 1995, 1995 Fall Meeting Supplement to EOS, F471, 1995. R. E. Gold, L. J. Lanzerotti, K. A. Anderson, T. P. Armstrong, S. E. Hawkins III, S. M. Krimigis, R. P. Lin, C. G. Maclennan, M. Pick, E. C. Roelof, E. T. Sarris, G. M. Simnett, and S. J. Tappin, Ulysses from South Pole to Equator: Low Energy Interplanetary Charged Particle Measurements (invited), Spring AGU Meeting, May 1995, 1995 Spring Meeting Supplement to EOS, S241, 1995, Abstract SH52B-1. Low energy (50 keV to 20 MeV) charged particles measured by the HISCALE instrument on the Ulysses spacecraft provide unique measurements related to the state of the heliosphere as the spacecraft makes its rapid 80 deg. south pole-to-equator transit in early 1995. As was found during the ascent of the spacecraft to the southern solar pole, analysis of the electrons and ions measured by HISCALE during the rapid traversal of heliospheric latitudes yields new information on a number of topics at the forefront of heliospheric science. While large enhancements in electron fluxes were seen to occur at about 26-day periods to latitudes as high as 70 deg. S on the ascent to the south pole, on descent such large enhancements were not evident until a latitude of about 50 deg. S was reached. This talk will include these new results as well as presentations of HISCALE determinations of interplanetary ion composition associated with corotating interaction regions, anomalous cosmic ray spectra, and the interplanetary and solar conditions that lead to the propagation of solar particles into the heliosphere to high heliolatitudes. D. Haggerty and T. P. Armstrong, Ulysses HISCALE Observations of Jovian Particles in the Interplanetary Medium, Spring AGU Meeting, May 1995, 1995 Spring Meeting Supplement to EOS, S259, 1995, Abstract SM42C-8. Intense particle anisotropies were detected with the HISCALE instrument on the Ulysses spacecraft from 550 RJ pre-Jovian encounter to 700 RJ post-Jovian encounter. Ions with Z>=1 (61 keV to 1.8 MeV) and electrons (42 keV to 315 keV) and ions with Z>=2 (480 keV to >7.5 MeV) were observed flowing from the Jovian direction with durations of a few minutes to several hours. In order to establish the candidate origins, phase space densities as functions of the magnetic moments were computed and compared with observations in the outer Jovian magnetosphere. The shapes and magnitudes of f(μ) were similar for candidate Jovian bursts at great distance and in the outer magnetosphere. The implication of this result for origin will be discussed. S. E. Hawkins III, N. Krupp, A. F. Cheng, L. J. Lanzerotti, and C. G. Maclennan, Latitudinal Dependence of Ion Composition in the Jovian Magnetosphere as Measured by the HI-SCALE Instrument Aboard Ulysses, Spring AGU Meeting, May 1995, 1995 Spring Meeting Supplement to EOS, S259, 1995, Abstract SM42C-10. Ulysses passed through the Jovian system in February 1992, with an outbound trajectory that enabled the HISCALE instrument to sample at reasonably high rates the population of energetic particles in the previously unexplored dusk magnetosphere at high magnetic latitudes. We present results from the HISCALE Composition Aperture, a solid state detector system which uses a ΔE vs. E identification scheme, in the energy ranges of ~0.3 to 15 MeV/nucleon. During the interval analyzed here, the spacecraft was in the range of about -47 deg. to -28 deg. south Jovigraphic latitude. From the trajectory data we have divided the dusk sector into three different latitudinal ranges for the inner (<50 RJ) and middle (50 RJ < r < 80 RJ) magnetosphere. After integrating the ion compositional data for He, O, and S, along each of these three latitudinal ranges, we present the ion composition results in the range of ~0.5 to 2 MeV/nucleon, and compare them to reports from the EPAC instrument (Krupp et al., Adv. Space Res., in press). S. E. Hawkins III, A. F. Cheng, L. J. Lanzerotti, and C. G. Maclennan, Bulk Velocity Model of the Jovian Magnetosphere Using Measurements Taken From the HI-SCALE Instrument Aboard Ulysses, Fall AGU Meeting, December 1995, 1995 Fall Meeting Supplement to EOS, F503, 1995, Abstract SM22E-2. We present results of a model based on the Compton-Getting effect to determine the bulk plasma flow in the Jovian magnetosphere. A previous study by Hawkins et al. [JGR, 100, 14807,1995] found that the corotational anisotropy in the duskside high latitude region of the magnetosphere was significantly reduced relative to that for a comparable radial distance range on the dayside. This study used data acquired by the HISCALE instrument aboard Ulysses as the spacecraft passed through the Jovian system in February 1992. Energetic ion intensities and composition were measured over nearly the full unit sphere. In the present study, we model the angular and spectral distributions of flowing hydrogen, helium, oxygen, and sulfur plasmas, including effects of the strong density gradients observed throughout the magnetosphere. We then discuss the implications of these velocity results for the global configuration of the Jovian magnetosphere. S. M. Krimigis, Origins of Energetic Particle Populations Within the 3-D Heliosphere as Viewed by the Voyagers and Ulysses (invited), Fall AGU Meeting, December 1995, 1995 Fall Meeting Supplement to EOS, F496, 1995, Abstract SM21C-5. It is now recognized that the heliosphere is literally filled to varying levels by copious numbers of energetic ions and electrons accelerated at the sun, the interplanetary medium, and the putative heliospheric termination shock. Even at times of solar minimum, the "quiet-time" ion spectrum consists of a solar component extending to ~10 MeV/nuc., plus anomalous cosmic rays accelerated in the heliosphere to energies up to ~1.6 GeV [Mewaldt et al., 1995]. Acceleration to high energies and the possible local origin of cosmic rays was a consuming interest of Hannes Alfven, and led him and his colleagues to suggest "magnetic pumping" as a general type acceleration mechanism in space plasmas. The investigation of the outer heliosphere to >60 AU by the Pioneers and Voyager spacecraft, together with the recent exploration of high heliospheric latitudes by Ulysses, provide an opportunity to re-examine Alfven's ideas on heliospheric acceleration and reassess our current understanding of processes of transport and modulation of particle populations within, and in the vicinity of, the solar system. N. Krupp, E. C. Roelof, R. E. Gold, and L. J. Lanzerotti, Energetic Particle Fluxes and Anisotropies During the June 1991 Events: Ulysses HI-SCALE Results, Spring AGU Meeting, May 1995, 1995 Spring Meeting Supplement to EOS, S232, 1995, Abstract SH41B-4. We present an analysis of energetic particle fluxes and anisotropies from the Ulysses HISCALE experiment during the June 1991 events when the spacecraft was at a distance of 3.25 AU from the Sun in the ecliptic plane on its way to Jupiter. During that period three forward shocks and one reverse shock were identified from the Ulysses magnetometer and plasma measurements [Balogh et al., Space Sci. Rev., 72, 171, 1995]. We compare the fluxes of ions (>50 keV) and electrons (>40 keV) from different energy channels and from different spatial directions in the vicinity of these shocks as well as composition ratios. We will also discuss the pitch angle distributions before and after the shocks and compare the results with those obtained with HISCALE during the May 1991 forward/reverse shock event [Tappin et al., Astron. Astrophys., 292, 311, 1994] as well as the great complex of events of March-April 1991 [Roelof et al., Geophys. Res. Lett., 19, 1243, 1992]. N. Krupp, E. C. Roelof, R. E. Gold, and L. J. Lanzerotti, Ion Intensity Gradients Near Interplanetary Shocks: Ulysses HI-SCALE 3-Dimensional Analysis, Fall AGU Meeting, December 1995, 1995 Fall Meeting Supplement to EOS, F471, 1995, Abstract SH42C-8. We present an analysis of ion intensity gradients near interplanetary shocks in the ecliptic plane at helioradii 3.5 - 5.0 AU during 1991 based on 3-dimensional measurements of gradient anisotropies of 50 - 4750 keV ions from the Ulysses HISCALE ion telescopes. We have developed a computerized optimization algorithm that relates the non-gyrotropic contribution in the pitch-angle distributions to the scale length and 3-dimensional direction of the ion intensity gradient. The algorithm compensates for the Compton-Getting anisotropy and operates even in the presence of strong (non-linear) field-aligned (gyrotropic) streaming anisotropies. It extracts a direct measurement of the complete gradient vector as a function of ion energy with a time resolution of the energy channel sampling period (12 or 24 seconds). We find that the gradient scale length for protons Lp is well represented by a power law in the proton velocity (vp)k within a distance of several scale lengths from the shock. The exponent k was greater than unity (typically=2), so the gradient does not simply scale with the gyro-radius ρp. Further confirmation of this is revealed by the poorer ordering of the data when Lp was represented as a power law (ρp)k. A typical scale length at vp = 10,000 km (Ep = 520 keV) is Lp = 200,000 km. The power law dependence on velocity is in agreement with theoretical calculations that attribute the gradient to the effects of field-line meandering in the vicinity of quasi-perpendicular shocks [van Nes et al., JGR, 90, 3981, 1985; Decker, JGR, 98, 33, 1993]. L. J. Lanzerotti and C. G. Maclennan, Low Energy Anomalous Cosmic Rays at High Heliolatitudes, Spring AGU Meeting, May 1995, 1995 Spring Meeting Supplement to EOS, S236, 1995, Abstract SH42C-6. The composition telescope in the HISCALE instrument on the Ulysses spacecraft permits the determination of the low energy (1 - 10 MeV/nucl) anomalous cosmic ray component as a function of heliolatitude to the highest latitudes that Ulysses reached (~81 deg.). The anomalous oxygen component at 2.5 MeV/nucl was found to be essentially independent of heliolatitude at latitudes above the heliospheric current sheet (~35 deg.) 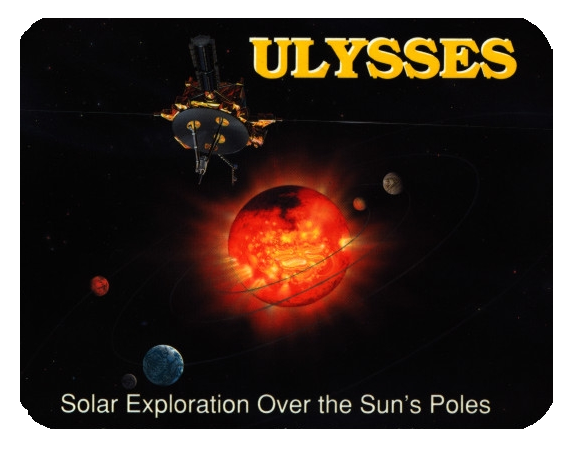 during the Ulysses ascent to the southern solar pole. During the nearly three months that Ulysses spent above 70 deg. S heliolatitude the flux of O ions in the energy range ~2 - 5 MeV/nucl was found to be ~10-8/(cm2 s ster MeV/nucl). This talk will also present the latest information on the anomalous oxygen component as the spacecraft made its rapid 80 deg. transit from the south solar pole to the equator in early 1995. L. J. Lanzerotti, R. E. Gold, K. A. Anderson, T. P. Armstrong, S. E. Hawkins III, S. M. Krimigis, R. P. Lin, C. G. Maclennan, M. Pick, E. C. Roelof, E. T. Sarris, G. M. Simnett, S. J. Tappin, and D. J. Thomson , Low Energy Interplanetary Charged Particles Measured by HI-SCALE from Solar Pole to Solar Pole (invited), Fall AGU Meeting, December 1995, 1995 Fall Meeting Supplement to EOS, F457, 1995, Abstract SH22A-1. Low energy (50 keV to 20 MeV) charged particles measured by the HISCALE instrument on the Ulysses spacecraft provided unique measurements on the state and structure of the heliosphere as the spacecraft made its rapid 160 deg. south pole-to-north pole transit in 1995. Initial analysis indicates that the low energy electron variations were less pronounced in the transit through the northern polar coronal hole to the north pole than they were in the descent from the south pole through the southern coronal hole to the helioequator. This could be due to the boundary of the northern coronal hole being closer to the helioequator at the time than was the southern hole boundary. Thus, the reverse shock from the CIRs associated with the northern hole boundary might not propagate as far poleward as did the reverse shock from the south hole boundary during the southern passage. Other HISCALE topics to be summarized include results on the anomalous O flux at ~2.5 MeV/nucl, observations of solar flare electrons at the highest heliolatitudes, and analysis of low-frequency periodicities in the particle fluxes that fall within the range expected for solar g-modes. L. J. Lanzerotti, D. J. Thomson, C. G. Maclennan, and A. Fittes, Periodicities in Interplanetary Particle Fluxes and Magnetic Fields, Fall AGU Meeting, December 1995, 1995 Fall Meeting Supplement to EOS, F457, 1995, Abstract SH22A-2. We have recently reported the discovery of low frequency periodic, but not necessarily harmonic, variations in interplanetary particle fluxes and magnetic fields that are in the range expected for solar g-modes and p-modes (Thomson et al., Nature, 376, 139, 1995). We have continued our analysis of Ulysses data in order to examine the possible time dependence of the amplitudes and phases of some of the measured frequencies. In addition, since the periodic components can at times account for as much as 80% of the variance in the time series, and because the levels and amplitudes of the power spectra are important for contemporary theories of cosmic ray propagation (among other subjects), we have investigated the time dependence of individual 27-day power spectra during a 2.5 year interval (1992-1994.5) as Ulysses climbed out of the ecliptic plane. The results of these new and continuing investigations will be reported, including further discussions of the implications of the measurements for solar modes. C. G. Maclennan, L. J. Lanzerotti, K. A. Sayle, and G. M. Simnett, Heliolatitude Dependence of CIR-Accelerated Interplanetary Heavy Ions, Spring AGU Meeting, May 1995, 1995 Spring Meeting Supplement to EOS, S241, 1995, Abstract SH52B-4. In its rapid traversal of 80 deg. of heliolatitude in early 1995, from the southern solar pole to the equator, the HISCALE instrument on the Ulysses spacecraft made comprehensive measurements of the composition of ions accelerated at the corotating interaction regions (CIRs) that it crossed. This paper presents the results of analysis of the ion composition as a function of heliolatitude during this traverse. Since the strength of the CIR-related interplanetary shocks decreases with increasing heliolatitude, analysis of the heavy ion composition as a function of latitude during the fast passage to the equator will yield new information on interplanetary acceleration processes. During the slow ascent to the southern solar pole, HISCALE made similar measurements of the composition associated with southern hemisphere CIRs, but there was a strong helioradius dependence in the measurements. The measurements from the 1995 rapid latitude traverse at a helioradius within 2 AU will permit a separation of heliolatitude and helioradius effects of CIR acceleration. C. G. Maclennan, L. J. Lanzerotti, R. B. Decker, S. M. Krimigis, M. R. Collier, and D. C. Hamilton, Helioradius Dependence of Carbon and Oxygen Abundances from Ulysses and Voyager Measurements, Fall AGU Meeting, December 1995, 1995 Fall Meeting Supplement to EOS, F455, 1995, Abstract SH21A-21. Measurements made in 1991 while the Ulysses spacecraft was at ~3 AU in the ecliptic plane enroute to Jupiter provide an excellent opportunity to examine the helioradius dependence of interplanetary particle fluxes. During this time the Voyager 1 spacecraft was at ~32 deg. N and at a distance of ~47 AU while Voyager 2 was at ~5 deg. S and a distance of ~35 AU. Comparisons at the three locations of the C/O ratios that resulted from the intense solar and near-Earth interplanetary activity in the March through June 1991 interval show a statistically significant decrease in the C/O abundance with increasing radial distance. At Ulysses, C/O was of the order of 0.4 while at V2 and V1 the C/O ratio was -0.3 and -0.2, respectively. The differences in the abundances most probably arise from helioradial differences in the seed populations (including low energy oxygen ions whose source is interstellar neutrals) that are available for acceleration by the interplanetary shocks that propagated through the heliosphere. This and other implications of the results for heliospheric dynamics will be discussed. M. Pick, A. Buttighoffer, A. Kerdraon, L. J. Lanzerotti, E. T. Sarris, T. P. Armstrong, G. M. Simnett, and E. C. Roelof, Transport of Sub-MeV Solar Particles to Heliolatitudes above 500 S, Spring AGU Meeting, May 1995, 1995 Spring Meeting Supplement to EOS, S241, 1995, Abstract SH52B-3. A solar electron event was observed at Ulysses on 27 February 1994, when the spacecraft was at a heliolatitude of 54 deg. S. Observations of energetic electrons and protons show that this event was channeled over large heliocentric distances to high heliocentric latitudes far from the acceleration site. This result is in agreement with radio observations which provide evidence that energetic electrons populated the corona southward from the flare site. The interplanetary channeling occurs inside a CME identified by Gosling et al. [Geophys. Res. Lett., 21, 2271, 1994]. The flare associated with the electron event is located at N09 W95 in the same active region that is associated with the CME. This event is compared with the CME-associated solar particle event of 12 June 1993 [Armstrong et al., Geophys. Res. Lett., 21, 1747, 1994]. E. C. Roelof, Recurrent Low-Energy Proton and Electron Events at High Latitudes: Implications for Magnetic Structure Beyond Ulysses (invited), Fall AGU Meeting, December 1995, 1995 Fall Meeting Supplement to EOS, F458, 1995, Abstract SH22A-12. One of the most unexpected observations during the Ulysses mission was the persistence of 26-day recurrent 38-315 keV electron events measured by HISCALE from low latitudes through the highest south polar excursion (80.2 deg.). Not only were these events associated with the forward (FS) and reverse shocks (RS) of CIRs, markedly more prominent than those previously observed in the ecliptic at r<5 AU, but as latitude increased above the streamer belt (so the CIR signature no longer was detected at Ulysses), their maxima (which had been predominantly associated with the RS) began to systematically lag those of the 0.5 MeV protons also associated with the RS. Simnett and Roelof (Space Sci. Rev., 72, 327, 1995) explained all these characteristics by remote IMF connection to the poleward-expanding CIR some 10s of AU beyond Ulysses, invoking the expansion found in the CIR models of Pizzo (J. Geophys. Res., 99, 1173, 1994). This was further supported by the observation minima in the H/He ratios Γ<5 in such events at the time of the electron maxima, interpreted by Simnett, Sayle, and Roelof (Geophys. Res. Lett., in press) as the signature of interstellar pickup He+ accelerated at the distantly connected RS. Although the ions dropped below HISCALE background above S 70 deg., the electron recurrences continued through S 80 deg. and their timing could be fit by a rigidly rotating CIR with no latitude dependence in VSW (consistent with SWOOPS observations). The approximate invariance of the electron event FWHM with increasing latitude is inconsistent with connection to lower latitudes via random walk of field lines, as is the electron/proton maxima lag. However, these are natural consequences of direct IMF connection at a constant latitude. Corresponding recurrent depressions in the galactic cosmic rays observed by COSPIN on Ulysses are then also naturally explained by the direct connection model. The powerful implication of the direct connection model is that CIRs expand all the way to the poles at a rate much faster than predicted by Pizzo's original work. We have posited that the additional expansion is driven by the accumulating pressure of CIR-accelerated interstellar pickup ions. E. C. Roelof, G. M. Simnett, S. J. Tappin, and L. J. Lanzerotti, Probing High-Latitude Heliospheric Magnetic Field Structures Beyond Ulysses with >38 keV HISCALE Electrons, Spring AGU Meeting, May 1995, 1995 Spring Meeting Supplement to EOS, S241, 1995, Abstract SH52B-2. Long after Ulysses ceased detecting the plasma and magnetic field signatures of corotating interaction regions (CIRs) in late 1993 above latitudes -40 deg. S, HISCALE continued to measure recurrent >38 keV electron events lasting several days at approximately 26 day intervals which continued (albeit at reduced intensities) right through the polar pass (80 deg. S) and which then recovered in intensity as Ulysses moved rapidly equatorward [Lanzerotti et al., Science, 1995]. Simnett and Roelof [Space Sci. Rev., 72, 303, 1995] argued, on the basis of the increasing delays (up to several days) observed at mid-latitudes from the maxima in >0.5 MeV proton recurrent events to those of the >38 keV electron events, that the electrons were accelerated at reverse shock (RSs) 10's of AU beyond Ulysses that were propagating poleward (up to at least 45 deg. S), driven by the expansion (due to internal pressure) of the CIR structure, as described by Gosling et al. [Geophys. Res. Lett., 20, 2789, 1993]. Since CIR thermal pressure alone does not appear to be sufficient to drive the RSs to such high latitudes within reasonable distances beyond Ulysses, one possibility for the persistence of the electron recurrences is that the RSs are driven considerably further poleward by the additional suprathermal pressure from interstellar pickup ions, which can contribute 18% of the total pressure behind RSs at 4.5 AU in the ecliptic [Gloeckler et al., J. Geophys. Res., 99, 17637, 1994], a percentage that should increase dramatically with increasing helioradius for CIR RSs. Regardless of the details of the theoretical explanation, the persistence of the HISCALE electron recurrences from mid-latitudes through polar latitudes and back towards the equator implies either that shocks must be present at the highest latitudes at 10's of AU beyond the radius of Ulysses, or that the field lines beyond Ulysses somehow connect to the shocks at lower latitudes. E. C. Roelof, K. A. Anderson, R. P. Lin, G. M. Simnett, and S. J. Tappin, Comparison of >30 keV Ion and Electron Fluxes at Low Latitudes: WIND 3DP and Ulysses HI-SCALE, Fall AGU Meeting, December 1995, 1995 Fall Meeting Supplement to EOS, F454, 1995, Abstract SH21A-18. During the first 130 days of 1995, Ulysses was making its fast latitude scan from S 44 deg. to N 49 deg., swinging inward from 1.5 AU to perihelion at 1.34 AU (in early March), while its heliographic right ascension increased by only 20 deg. Meanwhile WIND was en route to the Lagrangian L1 point, always being well upstream of the Earth's bow shock (XGSE>+70 RE) during this period. Solar activity was low, with less than a dozen small active regions producing isolated C-class x-ray flares and only a few M-class x-ray events. We have compared intensities of ions >35 keV and electrons >20 keV measured by the WIND 3DP particle telescopes with 61-77 keV ions and 38-53 keV electrons measured by the Ulysses HISCALE particle telescopes. The period is remarkable in that there are many "pure" electron or ion events. The ion events at Ulysses are roughly ordered by solar wind and IMF structures observed on the spacecraft associated with multiple crossings of the heliosphere current sheet [Gosling et al., GRL, in press; Smith et al., GRL, in press]. Isolated impulsive electron events were observed at both spacecraft, the last significant one associated with a flare on the visible disk on April 22 when Ulysses was 135 deg. west of the Earth. The ratio of intensities is highly variable from event to event, and this is consistent with there being numerous impulsive electron events seen at one spacecraft without a correlated event at the other. Some non-impulsive electron increases that may be partially corotating have energy-integrated intensity ratios > 10:1 (i.e., strong negative radial gradients). On the other hand, there is a remarkable "plateau" in the Ulysses electron intensities lasting some 25 days (17 Feb. to 13 Mar.) When they are compared to the ambient intensities at WIND (i.e., those to which the impulsive events decay), the ratio is more like 2:1. This suggests a region straddling the helioequator by about ±10 deg. in which electron escape from the inner heliosphere is impeded by distant large-scale structures in the IMF well beyond Ulysses. G. M. Simnett, K. A. Sayle, T. R. Sanderson, R. G. Marsden, and E. C. Roelof, Energy Dependence of the H/He Ratio at High Heliographic Latitudes in Association with Low Latitude CIRs, Spring AGU Meeting, May 1995, 1995 Spring Meeting Supplement to EOS, S241, 1995, Abstract SH52B-5. The H/He ratio observed by the Ulysses spacecraft in association with co-rotating interaction regions (CIR) out of the ecliptic plane is generally He-rich compared with that observed for solar energetic particle events, where the ratio is typically 20-100, increasing with energy. This pattern continued as Ulysses moved to high heliolatitudes, when the intensity increases (referred to as "events") continued at the solar rotation frequency and in phase with the inferred low-latitude CIRs. We report combined measurements from the HISCALE and COSPIN (LET) instruments which cover the energy range 0.5 - 8.4 MeV/nucleon. At 0.5 - 1.4 MeV/nucleon the H/He ratio typically decreases throughout the event, frequently dropping to ~3 by the end. This trend is seen at 1.8 - 3.7 MeV/nucleon, although it is generally not so pronounced and in only one event dropped as low as 3. At 3.8 - 8.0 MeV/nucleon a decrease throughout the event is rare and the H/He ratio rarely falls below 10. As Ulysses moved from the pole to the equator two events were seen with significant ion fluxes, which had maximum intensity on January 21 and February 17, 1995, respectively. In the first of these (latitude 31 deg. S) the H/He ratio at 0.5 - 1.4 MeV reached its minimum value of 4.8 prior to the maximum intensity and rose during the decay. In the February 17 event (latitude 12 deg. S), the ratio increased throughout. This behavior was not seen during the ascent to the pole when Ulysses was at a considerably greater radial distance. We discuss the implications of these observations for preferential acceleration of He ions at the reverse shock of the CIR as it moves outwards and expands towards high latitude. It appears that this acceleration does not normally extend above ~3.8 MeV/nucleon. G. M. Simnett, E. C. Roelof, T. P. Armstrong, and L. J. Lanzerotti, Latitude and Radial Dependence of the 0.5-1.0 MeV/nucleon H/He Ratio Measured by Ulysses/HISCALE, Fall AGU Meeting, December 1995, 1995 Fall Meeting Supplement to EOS, F457, 1995, Abstract SH22A-4. We have measured the H and He intensities at 0.5-1.0 MeV/nucleon for the duration of the Ulysses mission using the HISCALE composition particle telescope. Throughout the in-ecliptic part of this period, the intensities are dominated by transient events. During the passage through the southern heliosphere above the streamer belt the intensities are modulated by the 26-day recurrent CIRs. Because the H/He ratio, Γ, gradually falls during the CIR-associated events, there is a 26-day modulation in the ratio. Nevertheless, when the ratio is viewed over the entire mission, the following overall trends are apparent: (1) Both the ambient H and He intensities decline from the beginning of the mission until mid-1994; (2) From mid-1994 to the equatorial crossing the ambient H intensity rises while the ambient He intensity exhibits no long-term trend; (3) Γ changes from ~20 at 5 deg. S to ~5 over the south pole; (4) During the pole-pole transit, Γ has a maximum around the equator. Γ declines by ~9% AU during the in-ecliptic transit to Jupiter (assuming radial rather than temporal effects dominate). Γ then declines until Ulysses reaches 2.9 AU in June 1994 (S 69 deg. ), after which it increases until the equatorial pass. Since the lowest values are seen when Ulysses experienced the last ion increase associated with the southern hemisphere CIRs, this suggests that the dominant effect is latitudinal. The data are consistent with a source of energetic He ions at high latitudes, and to a lesser extent at large radial distances, which is not present for protons. This source could be interstellar pick-up He+ ions, as suggested by Gloeckler et al., JGR 99, 17638 (1994) at low energies and Simnett et al., GRL (in press) at MeV energies.